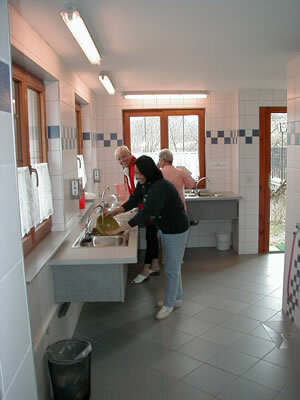 The sanitation facilities correspond with today’s standards. Well cared for washrooms and showers are the joy of every camper. Our drinking water is from the highest quality. We heat the water mainly with solar energy but in the colder seasons of the year the heating system in the sanitation facilities is fueled by wood chips. 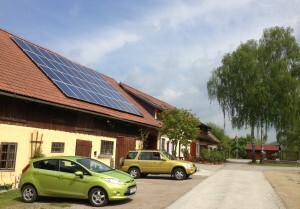 Since 2014 we have been producing electricity with our own photovoltaic system. Additional to the shower facilities, there is a big family bathroom with shower, sink and toilet all in one room – please feel at home! Lately we have also added a baby bath to our sanitation facilities, that conforms to all the needs of small children. 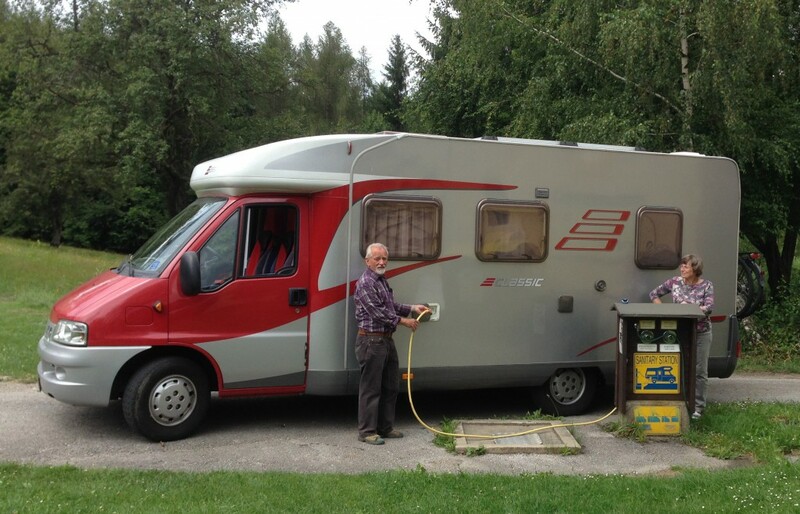 Our campers with caravans appreciate our service station for easy disposal and water supply.